Starting a new project? Just getting into Game Development? If so, then check out the new article from Tutorful: “How To Become a Game Developer: Expert Advice and Awesome Tools” which details everything from the type of game to make to Education Resources for improving your skills. Speaking of Education Resources, we are excited to announce that GameMakerBlog was selected by Tutorful as a Top Resource for Game Developers. There are some very exciting times ahead for GameMakerBlog fans and followers and getting recognized at this period in time seems like fate itself. I do want to take a few minutes to go over the article and talk about some changes to GameMakerBlog, so if you have some free time then go ahead and pull up a chair. It slices, It dices, It even makes you a Game Dev! Truly though, the article Dom G. has written is so deep and has so much information in it that at first glance of the scrollbar you might start getting overwhelmed. Fear not, for the article is masterfully put together in nice progressive sections that will also serve as reference material well into your Game Developer journey. Starting with the basics of the type of game that can be made, you swiftly move on to programming language and then delve into the world of asset procurement. I will just touch on a few of my favorites from each section. I think most Game Developers reading this blog are going to be like us, Indie Developers. We seek to make our dreams into a playable reality and hope people find it interesting enough that we can keep going. Being an Indie Dev embodies both Freedom and Fear, as there is usually no funding to back you up and bills don’t wait for release dates but you also do not have any bosses telling you what to do or how to do it. Success or Failure is fully up to you and your team and every step forward is a well earned accomplishment. Of course I will be partial to GML and GameMaker: Studio but I also like Java for server side applications and scripts. I wish I could comment on the music and graphical side of game creation but I do not have the aptitude for such things, I am grateful that there are many talented artists out there that lend their skills to the Indie Developer community though. Being a Game Developer is also quickly becoming to be a DevOps type position requiring full stack engineering: Webservers, MicroServices, Databases, AWS, Linux infrastructure and of course Security. Now the GameMaker community has some legendary Game Developers among it’s members, so this one is not hard to satisfy. You can chose between such greats like Mike Dailly and Shaun Spalding or head over to the great GameMaker sub-reddit at r/gamemaker/. 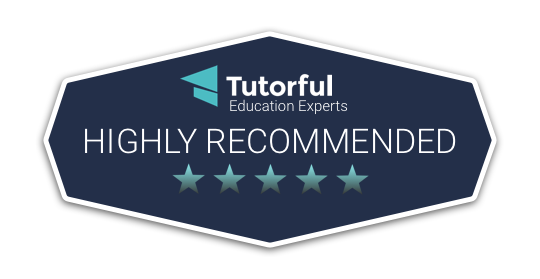 Of course you can also look on Tutorful to see if any tutors might be close enough to give in-person lessons as hands-on learning is another avenue that might be better suited for certain people. Well ok, maybe not perfect but the old saying about 10,000 hours is true in anything you are learning to do and the only way to get those hours is to put the practice in. Make all kinds of games, not just for profit but for fun as well; remake your favorite games you loved playing and add your own twists to them. All the time you spend creating will pay off with real experience. This section is incredibly helpful for me as I have incredible trouble when it comes to art, I just can not understand how to make music or graphics and trust me I have tried. I have a great track record of failing with every application I have tried: Spine, Spriter, ProMotionNG and all manner of free software. This is why I am so thankful for every artist and musician out there that makes an asset available, from free to paid, I appreciate them all. There are some absolute gems on the list so I strongly suggest checking them all out if you are like me and find reading raw debug logs easier than creating splash art. It has been said many times as of late that no matter how good your game is, if no-one knows it exists how can anyone buy it? True words indeed, Marketing is just as important as the actual game development in this day and age of over-saturation so I was very pleased to see this section in the article. The listed resources are top notch and I would only add that KeyMailer and SteamWorks (Curator Connect) are both great for getting your game out to influencers when the time is right. One final note that I wanted to briefly touch on is the changes that we have planned for GameMakerBlog, I know we have been mostly silent for the past few months but the amount of work that is going on behind the scenes is staggering. As I have mentioned in previous posts, GameMakerBlog is evolving from the purely GameMaker news format into a more in-depth technical blog about making games with GameMaker. GameMaker: Studio 2 is still my favorite game development platform and I will continue to keep using it and I have some very cutting edge technology and games to show everyone. To that end, I have already updated the blog to a newer layout but not to worry as it is not too different than the previous one; only slightly updated and a little more modern. The Tutorful recognition we have just received comes at such a perfect timing that we just know we are heading in the right direction. We will be spending much more time discussing “How to do something” in GameMaker instead of “What is happening” in GameMaker. This means more tutorials, more developer insights, and some very new technology that I am sure everyone will get excited about; there will also be community outreach programs and a couple of initiatives that are aimed at bringing the community together towards a purpose of helping each-other do what we all want to do: Create Games. Things will be ramping up towards this end of the year and I hope everyone will be not only surprised but inspired by the content we will be producing. A pixel for your thoughts?